But will it turn after the Democratic convention? If I wasn’t still on holiday in France at the moment I would be able to access my Betfair account to resume trading on the November’s White House race. In spite of being in the EU the French authorities clamp down on Betfair and the betting exchange goes to great length to stop you from using your account. Fortunately the latest move back to Mitt Romney was entirely predictable because contenders almost always get a convention bounce. The question now is how long Romney’s upward movement will continue and will it be all change when the focus switches to Obama for the Democratic Party convention next week? My guess is that it will and as soon as I drive off the ferry at Portsmouth on the weekend I’ll be looking to switch my position. As I’ve explained here before my approach is not to bet on the outcome in November but to try to make trading profits by anticipating how the markets will move in the short-term. Thanks to Marf for her take on the events in Tampa. Ipsos-Mori have released their AugustÂ Issues Index. That despite the publicâ€™s captivation with London 2012, the economy and unemployment remains top of their agenda. Three fifths (61%) of the public mentionÂ the economyÂ as one of the most important issues facing Britain today. This polling has been carried out in the same way for 37 years and involves interviewees being asked face to face and completely unprompted to name the main issues they are are facing the country. It is always said that the lack of prompting makes this a good test of salience and the pollsters online archive is a great resource. The chart below shows the level of concern about the economy alongside the GDP figures, and it clearly shows how concern about the economy has grown as GDP has faltered. If youâ€™ve always been a lurker, why not get Into The Groove, and start posting tonight? Nick Clegg says in tomorrow’s GuardianÂ Britain’s wealthiest people should face an emergency tax to avoid a breakdown in social cohesion as the country fights an “economic war” caused by a longer than expected recession. He also used the interview to all but make the first official announcement of Â David Cameron’s forthcoming ministerial reshuffle, indicating that David LawsÂ would be returning to government. “I have never made any secret of the fact that I want to see David Laws back in government,” Clegg said of the former chief secretary to the Treasury, who is expected to join the Cabinet Office with a particular focus on early intervention and the economy. David Cameron was askedÂ whether he is man or mouse over the third Heathrow runway? Mitt Romney’s campaign team has downplayed the Republican presidential challenger’s chances of achieving a vital poll bounce from the party’s convention, blaming the havoc caused by hurricane Isaac. Is one Ed better than two? 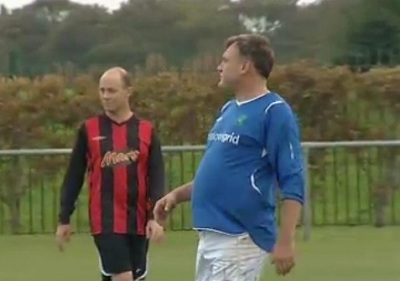 Over the last few days, several newspapers have had articles mentioning disharmony between Eds Miliband and Balls. the Labour leader, who promoted Balls to the post of shadow chancellor against his better instincts after the surprise resignation of Alan Johnson, is finding him hard work and secretive. The Times noted that Ed Miliband saw at first hand the worst of the disputes between Tony Blair and Gordon Brown, and is unlikely to make the mistake of Â Tony Blair, who repeatedly indulged Gordon Brown and left him in situ despite intense provocations, he will also remember that Ed Balls was Gordon Brown’s consigliereÂ in these disputes. As has been noted on here earlier on this year by Mike Smithson that recently, Ed Miliband’sÂ operating with a confidence that is in stark contrast to his performances in the first eighteen months of his leadership. This has also been shown in the movement in the leadership ratings since the start of the year between David Cameron and Ed Miliband, and Ed Milibandhas opened a comfortable lead with Ipsos-Mori. If Ed Balls does indeed become (even more) troublesome for Ed Miliband, then Ed Miliband’s growing confidence Â he will have the assurance to deal with him, as Ed Balls wasn’t Ed Miliband’s first choice to be Shadow Chancellor. GallupÂ have released some polling, one of which asks, Regardless of whom you support, and trying to be as objective as possible, who do you think will win the election in November. The changes are from the last time they asked the question in May. 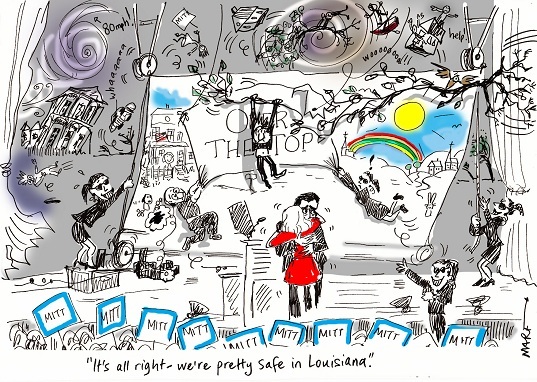 The Republican convention may give Romney a boost, butÂ HurricaneÂ Isaac may overshadow the convention. 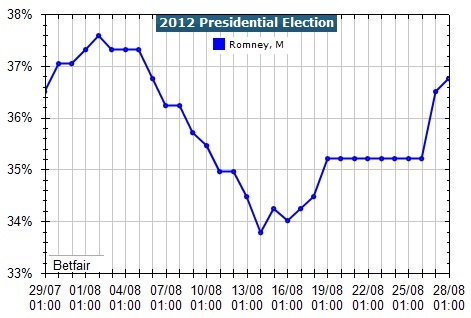 At the time of writing, the best odds on Obama or Romney to win were to be found on Betfair. The Guardian has published an excerpt of their monthly ICM poll. 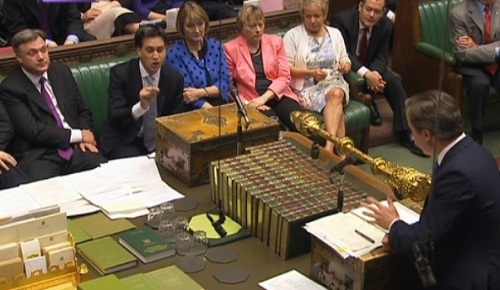 On the net satisfaction ratings, David Cameron still leads Ed Miliband minus 12 to minus 13. Nick Clegg’s net satisfaction rating is minus 26. Following on from the reports on problems in the relationship between Ed Miliband and Ed Balls, the ICM net rating when asked if Ed Miliband is doing a good job is minus 13%, for Ed Balls it is minus 8%. Balls beats Miliband in part because a relatively high proportion (30%) said they did not know when asked whether the shadow chancellor was doing a good job. This compares with 21% for Miliband who has a much higher profile than Balls. This post will be updated if the VI figures come out. These are absolute figures, and unlike Survation’s polling, didn’t include an individual question of should x retain their job. Are Vince’s strong polling numbers a threat to Clegg? Would the yellows poll better with him named as leader? As we saw last week with the Lib Dem Voice survey of activists there’s a lot of interest in the party leadership – something that will be magnified as we get closer to the party conference less than a month away. 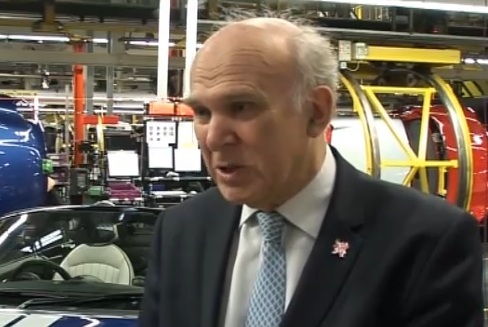 One thing that those wanting change are looking at are the consistently good figures that Vince Cable gets whenever he is compared with other cabinet ministers both Tory and Lib Dem. Featured above is the latest from the Survation poll for the Mail on Sunday and shows the views of voters when asked who who stay and who should go in the coming ministerial re-shuffle. The detail shows Cable securing positive support from right across the backers of the three main parties though, unsurprisingly, not UKIP. One thing that could accentuate the Cable moves is if we see a “named leader” voting intention question specifically mentioning Vince. If such findings had the yellows doing significantly better with Cable in charge that could undermine Clegg’s position. Will it happen? I know that such polling is being considered and my guess, based on the other polling, is that if it was asked then the findings would help Vince. Tim Montgomerie’s advice to David Cameron. In today’s Times, Tim Montgomerie has an article, offering some advice to David Cameron, to help him deal with his current problems. He points out despite the “omnishambles” of recent months, the polling shows that the electorate still prefer David Cameron to Ed Miliband as Prime Minister, and on the economic front, David Cameron and George Osborne lead the two Eds on the economy, despite George Osborne’s unpopularity and the fact we’re currently in a double-dip recession. To tap into that polling support, Montgomerie tells The Prime Minister to forego the big speeches, and go out to meet the voters direct. Letâ€™s see the best of Mr Cameron in the next few months. Letâ€™s see him out in the country, in the regions, in hostile meetings with voters explaining what heâ€™s doing. Letâ€™s see him with commuters, explaining why rail fares must rise so we can have a railway system fit for the next century. Letâ€™s watch him in a village hall in leafy Buckinghamshire, blighted by the high-speed rail link, explaining why it is essential for reconnecting North and South. Let him meet churchgoers and explain that gay people deserve the same opportunity as they do to make lifelong marriage vows to each other. Each meeting will be tough. There will be very awkward moments. But if he sticks at it, his image will evolve. Heâ€™ll no longer be a PR man, at the mercy of events. Heâ€™ll be the man who holds strong views and has a clear view of where he wants to take the country. Heâ€™ll get to that place, prized by every politician, where voters who disagree with their views can still respect them. 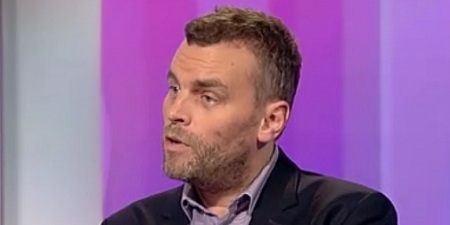 Should Cameron follow Tim Montgomerie’s advice, and if he does, will it be a success?